And to think last weekend we actually mocked those miniature shoe air conditioners. At least with those you could hide your feet under your desk and no one would be the wiser. 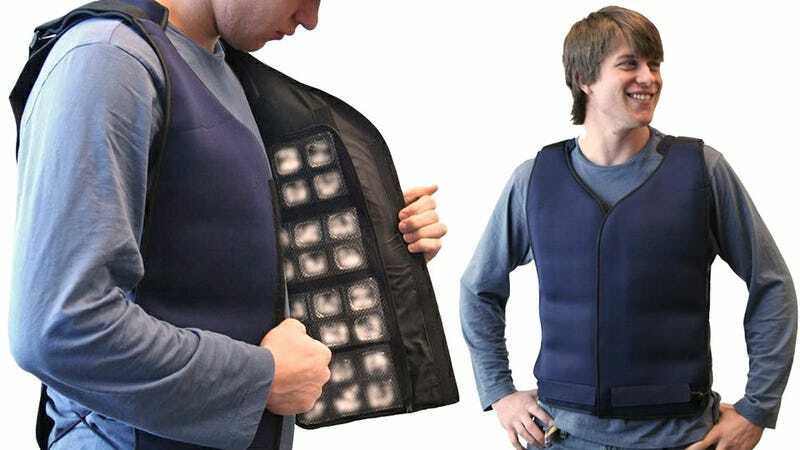 It's impossible to hide the ridiculousness of wearing this Flexi Freeze Ice Vest. The vest's three removable panels house a total of 96 cubes in all, presumably containing a gel material like is used in freezer packs for a cooler. So you unfortunately can't sacrifice a cube or two to help chill your soda. 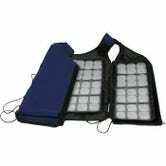 The vest is actually designed for persons working in high-temperature environments, like say performers wearing a mascot costume. Or for people suffering from conditions that make them particularly heat sensitive. But for $65, the only thing stopping you from wearing it to work on a hot day is the abuse and ridicule from your co-workers.